If you are looking for a pair of slippers which are cozy and cute looking, you probably want to try this one for sure. This is a free knitting pattern which you might find interesting because of the look of this project. Here. is the link for this tutorial. Knitting slippers is an addictive craft when you get used to knitting. However if you are short on time and still want to knit a pair of slippers for your loved one then this will be a super fast project you’ll love. There are no fancy stitches for you to get busy with. Just traditional knit and purl. Because of the technique this slippers use, it will be a super fast project than others. Click HERE. for this free tutorial. In the rhythm of needles, there is melody for the soul! Don’t be downhearted if you are new to knitting the Basket Weave Stitch. Grip your yarn and needles and let’s walk you through how to knit the Basket Weave Stitch with this stunning step by step tutorial with pictures. You will love the thick and soft textures with a unique look that is perfect to wear on any occasion. Now grab this stitch and begin your new alluring knitting project straight away. HERE is a tutorial on how to knit Herringbone Stitch. Knitting the Woven stitch can be challenging if you are a beginner to knitting. 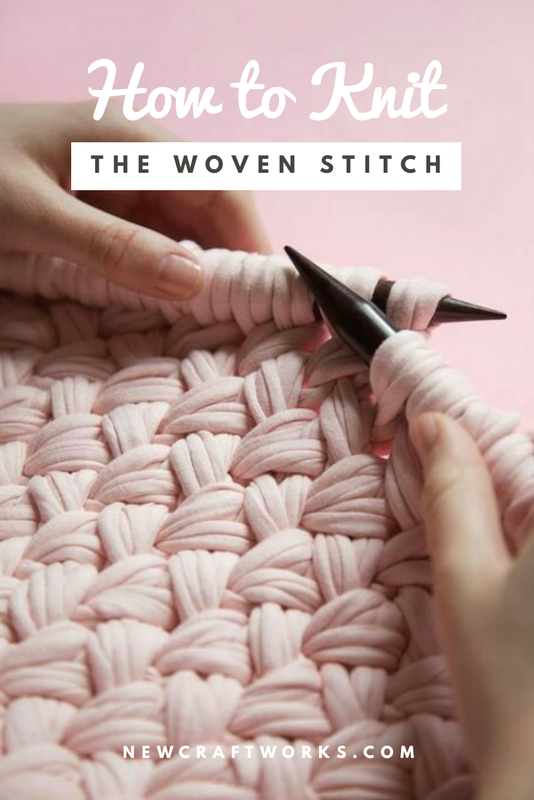 But thanks to this tutorial you can learn fast to knit the Woven stitch in no time. 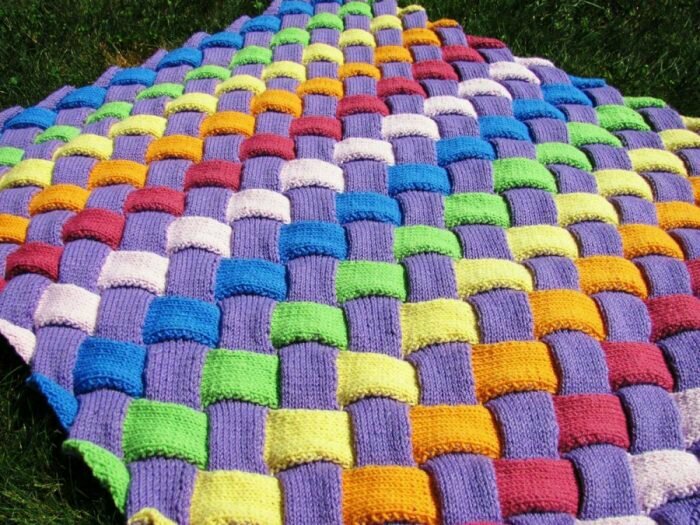 Woven stitch is a beautiful stitch especially for blankets and throws. So, learn to knit this stitch and start your new knitting project right away. HERE is the tutorial on how to knit the woven stitch. Although this gansey looks complicated it’s actually not. This is an easy knitting pattern which a beginner can follow. However, you need to have a great amount of time to mae this one because this gansey has knitted with a sport yarn and 3.5mm needles. But as you know that time is not a problem for a crafter if she gets a unique and beautiful project at last. So, below is the link for this free knitting pattern. 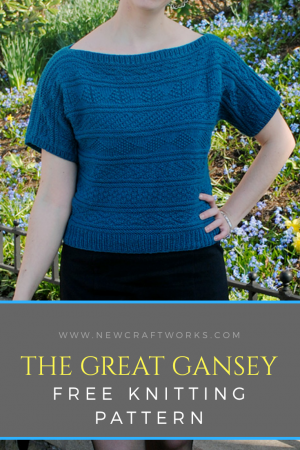 Click HERE for the great gansey free knitting pattern. 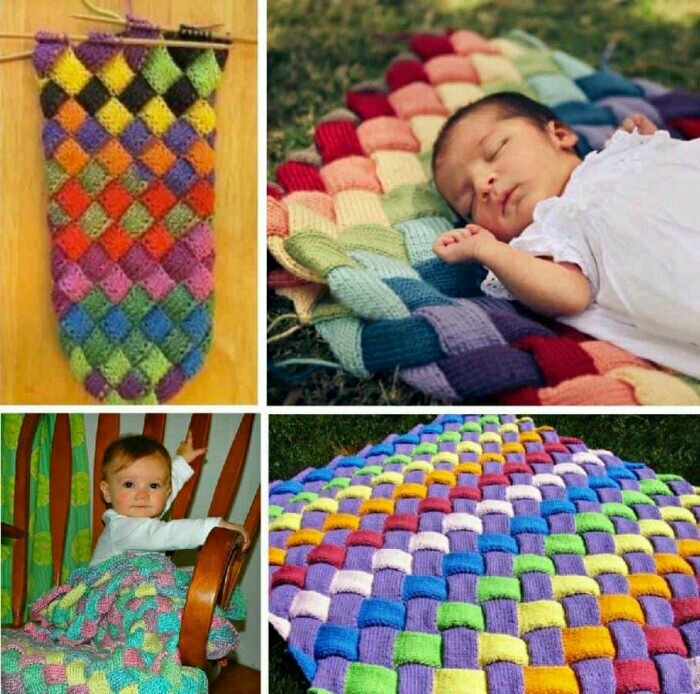 This wonderful knitting pattern is perfect for baby blankets because it is cozy and cute looking. The textured look it has give this pattern an extra attention as it’s perfect with any color combinations. 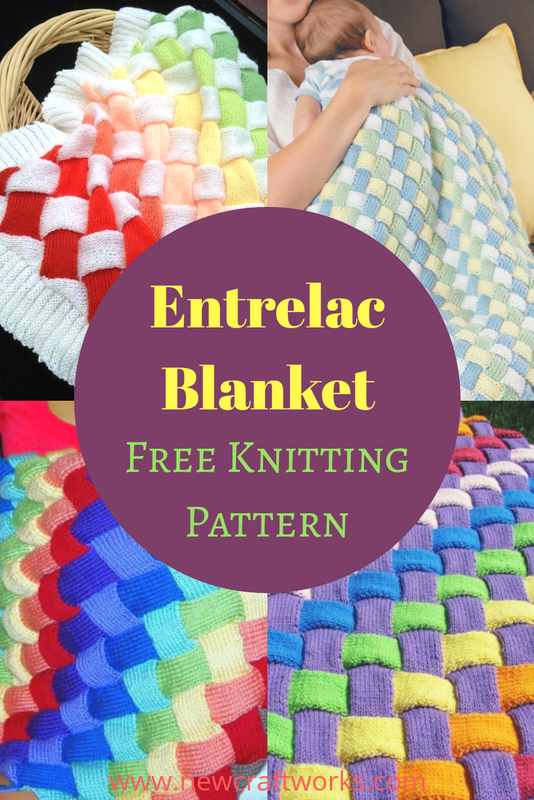 This is a free video tutorial on how to get this entrelac stitch. You can watch the video and get some more creative ideas from HERE. An easy and simple pattern which a beginner can follow. Although the pattern seems simple the look isn’t. The color pink gave the project a lovely look hence the pattern is suitable for a baby girl. But if you choose to use it for a boy, why not? Just change the color and you’ll get a lovely baby boy’s pattern. 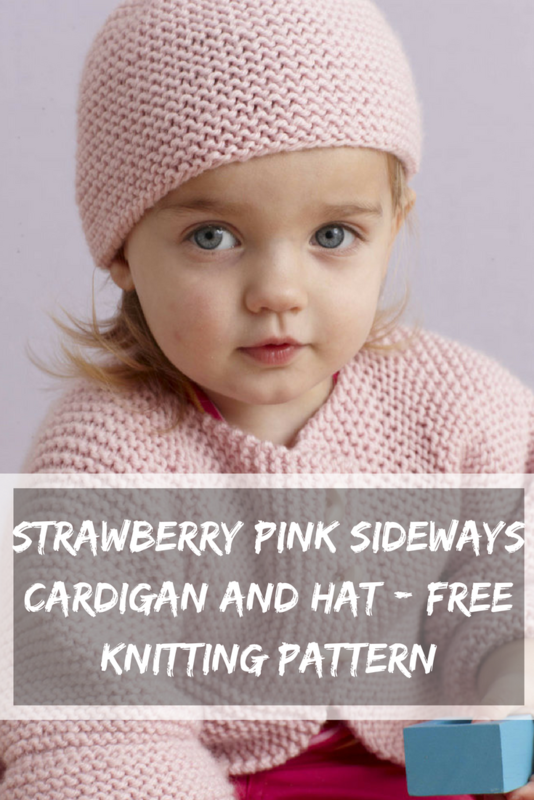 This is a free knitting pattern shared by LoveKnitting and you can find the downloadable pattern HERE.